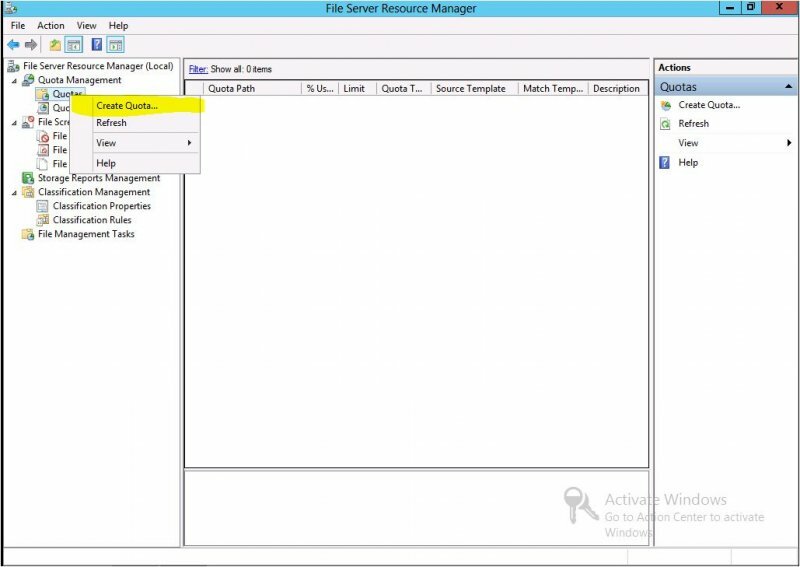 Today I am going to present you how to apply some restrictions and quota settings on particular a volume using File Server Resource Manager on Windows Server 2012R2. 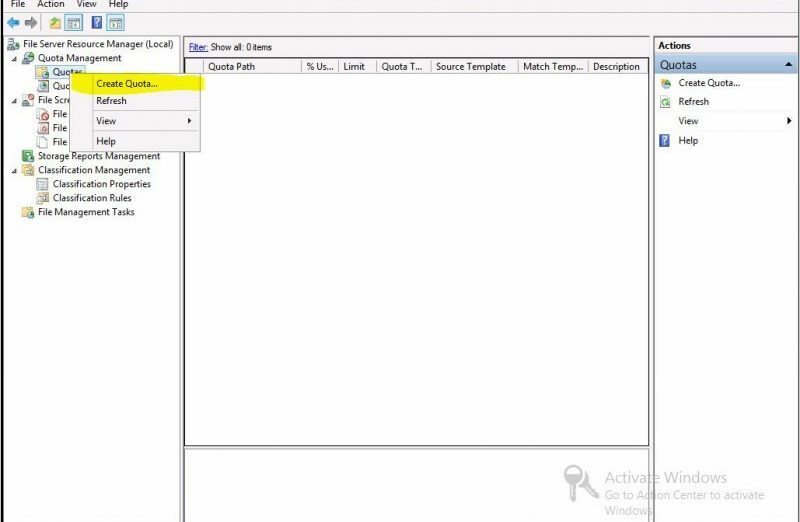 There are good restrictions you can apply such as restrict a user from saving certain type of file, quotas, and more good restrictions. I do think that if you are managing your File e Server which is based Windows Server machine you should implement this feature ASAP, restrict your user from keeping unnecessary files into your FS, add any ransomware extensions, I do not talk about restraining your users from keeping Word, Excel or any kinds of stuff that related to work, I’m talking about childhood videos, honeymoon pictures or kindergarten pictures and so on. Personally, I like this feature, it works great and it is really not complicated for managing. First of all, we have the install the “File Server Resource Manager” role. The next step is to apply policy individually on a folder, I mean we are going to restrict the user from saving Music, Picture files on our test folder. Select any file group you want to restrict, in my case Audio and Video Files has been selected, but it is not good enough for me because by default this file group is containing many of types, so we can filter it by file extension. Trying to paste it, and it is working. Install DHCP and configure Fail Over Cluster?